Countries in the Central American region are facing the challenges posed by illegal trade in environmentally regulated substances and commodities. To further improve the ability of customs officers to address these challenges, UN Environment in cooperation with the Customs Training Centre of the Dominican Republic, under the Green Customs Initiative, organized a Central American Regional Green Customs Workshop: Enhancing the Capacity of Customs Officers to Address Environmental Crime. The Regional Meeting on Green Customs was held in the regional center of World Customs Organisation in Santo Domingo, Dominican Republic from 3 to 5 May 2017. 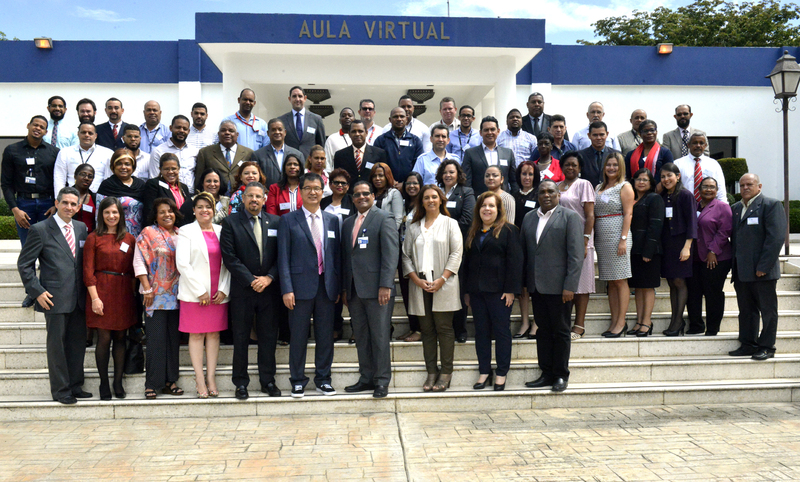 The Customs General Directorate of Dominican Republic, provided substantive and operative support to the workshop, through its Green Customs Unit. The Objective of the workshop was to bring all the expertise of relevant environmental agencies together in order to improve the efficiency of Customs day-to-day operations. It would enhance the capacity of Customs officers and define a common approach and methodologies in enforcing multilateral environmental agreements (MEAs). It could also provide partnership platforms with Customs and other MEAs officials in the fight against environmental crimes.